We raised 4.23 Lakhs last year. This year we are continuing our campaign to raise an additional INR 10 Lakhs which is a part of our total budget to work with 400 parents in Delhi and the Sonipat District of Haryana. We are equipping parents with the knowledge and skills required to demand quality education. We conduct 10 formal interactions with each parent we work within a year Each of these interaction costs INR 250 per parent. The testimonial below exemplifies what do these sessions lead to. 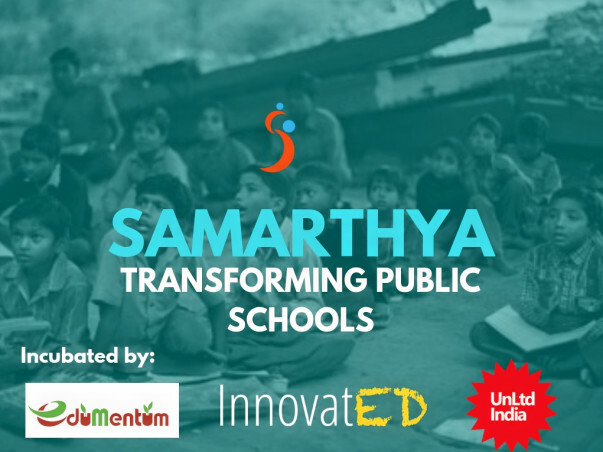 Samarthya was co-founded in May 2016 to ensure every child gets a free and quality education as promised under the Right To Education Act (RTE Act). As per a 2017 CAG report, only 8% schools comply with the basic yet mandatory norms and standards laid down in the Right To Education Act. We see a large scope and need for our work. You can read more about why Samarthya was started in this Logical Indian article. We believe empowering parents/ communities at a school-level for governance and accountability is critical to the success of the movement towards quality education. 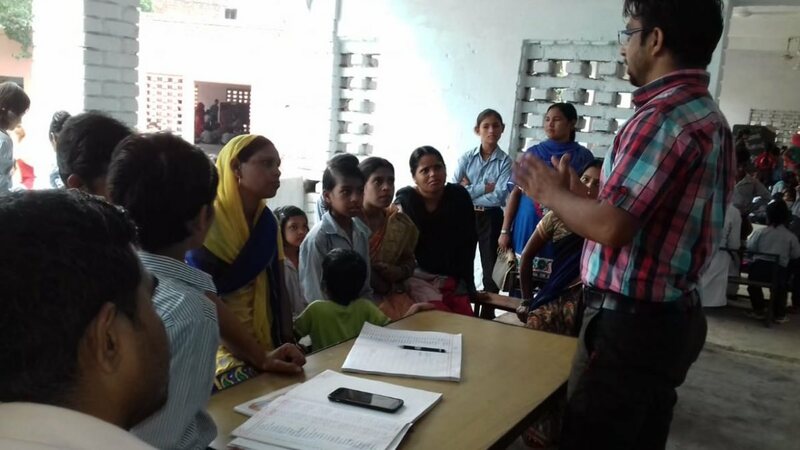 We are among the few organizations in India that are doing intensive work with School Management Committees (SMCs). These SMCs mandatorily consist of 75% parents and the main role of the SMC is to monitor the implementation of the Right To Education Act. Last year we worked with 14 SMCs in Delhi. This year apart from Delhi we have started work in Sonipat in partnership with the District Administration. 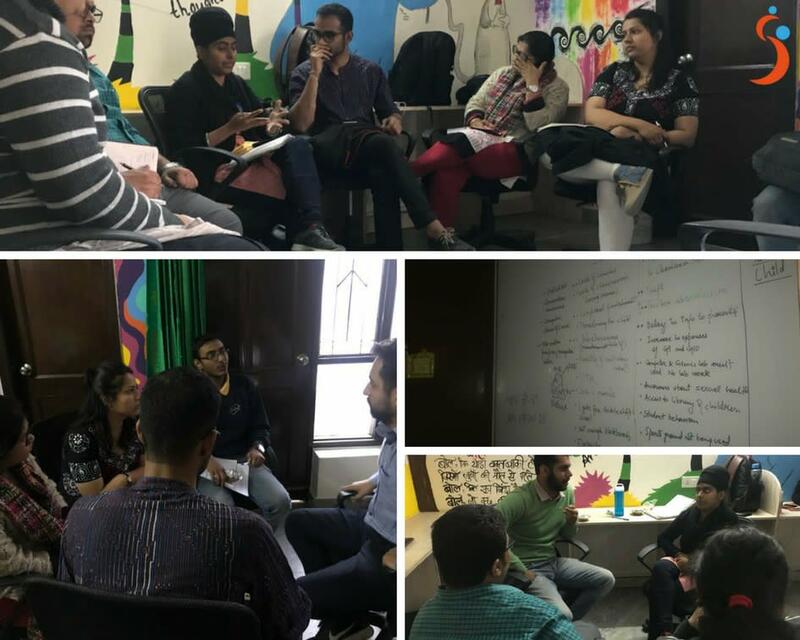 We are currently incubated by Teach For India, UnLtd Delhi, and the Advaith Foundation. In the short term, we enable parents to become accountability and governance partners in government schools. In the long term, we help foster a demand for a free & quality education in low-income communities. 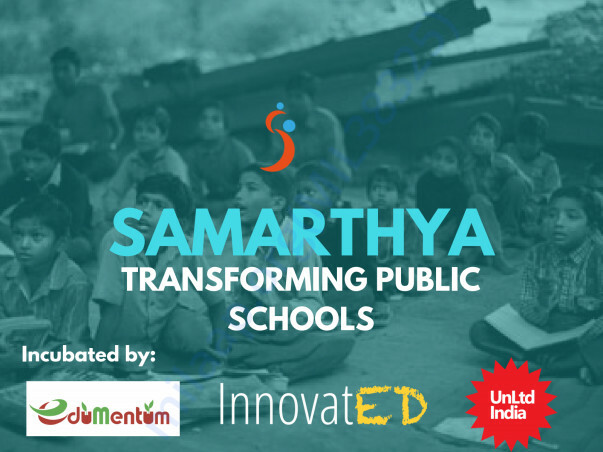 Samarthya is led by Teach For India, BITS Pilani Goa, IIT Alumni. The team has a collective work experience of 16 years in the social sector. Arnstein in her 1969 book A Ladder Of Citizen Participation noted that consultation and partnership are central for any fruitful participation to take place. 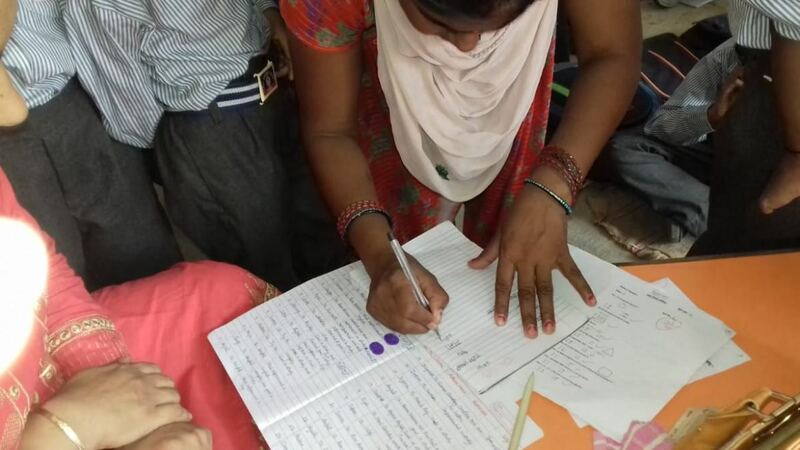 We see her 49 year old lessons come alive in our work at Samarthya everyday. 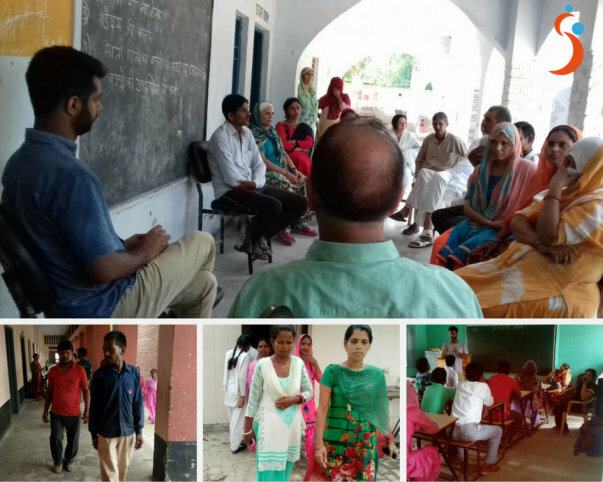 A few months back, the Parent Teacher Meeting (PTM) held at a Government School in Kundli , Sonipat saw only 22% parents turn up. While the PTM held in August saw the the attendance jump to 78%. 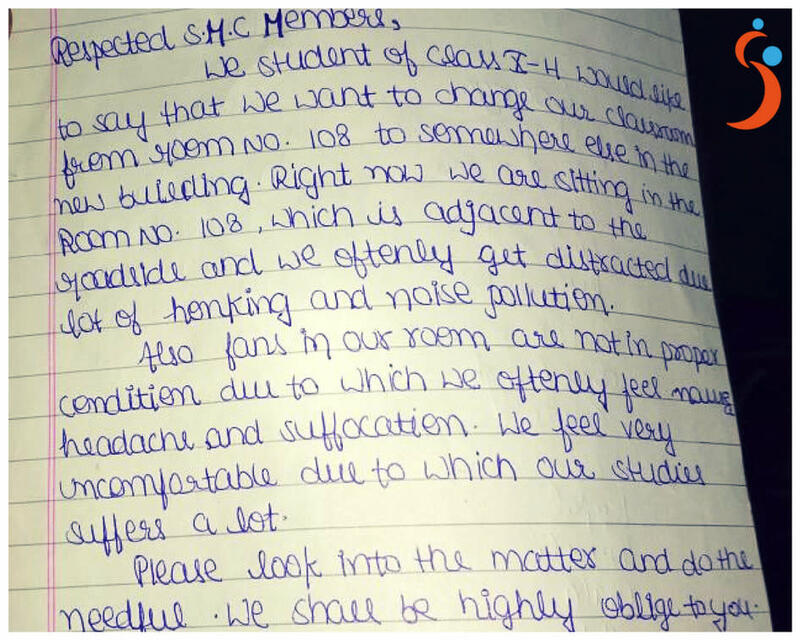 The attendance rose because parent representatives in the School Management Committee pointed out that how the 09:30 AM timing of the PTM did not suit them as most of them were daily wage workers and half of their pay gets cut even if they are 5 minutes late for their jobs which usually starts by 09:00 AM. The teachers took ownership and decided that the PTM can be rescheduled to 07:30 AM, which was half an hour before their regular reporting time. Physical invitations were sent out to the parents. Reminders were given to the children during the 3 assemblies prior to the PTM. 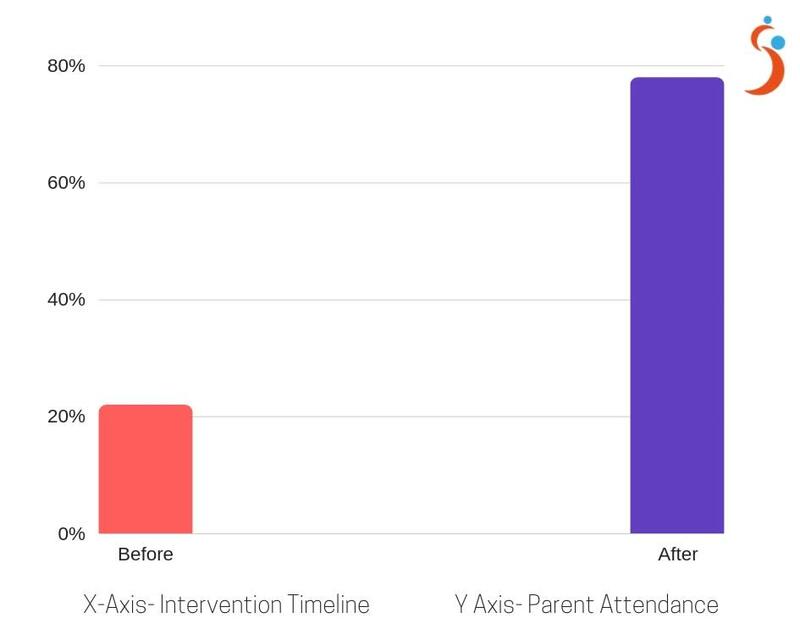 The rise in attendance holds significance because it happened in a school and at a time in which teachers’ perceive parents’ attitude to be passive, with little to no interest in their child’s learning. The rise in attendance holds significance because this PTM got teachers together to list down common things they wanted to share with all parents. The rise in attendance holds significance because it got parents of more than 600 children inside the school premises after a long long time. The teachers, the parents, the principal recognized they all agreed on the need of regular Parent Teacher Meetings. They were able to narrow down on issues that led to low attendance in PTMs and they were able to address them. They were able to do all these and be all these things because of the platform the School Management Committee meetings gives them. It brings all stakeholders together and gives them a platform to dialogue together and to act together. It’s easy, it’s almost tempting to despair, to be paralyzed by circumstances and say this is how it has always been, this is how it will always be. But it takes courage to believe again and that courage was rewarded for all stakeholders in the school in Kundli. There is a story about a guy walking down the street who falls in a hole. The walls are so steep he can't get out. "A doctor passes by and the guy shouts up, 'Hey you. Can you help me out?' The doctor writes a prescription, throws it down in the hole and moves on. Then a priest comes along and the guy shouts up, 'Father, I'm down in this hole can you help me out?' The priest writes out a prayer, throws it down in the hole and moves on. Meet Nanhe Ram Ji. he is a resident of Gokalpur Village, He was an ex-SMC (School Management Committee) member. We have worked with him for 2 years now. 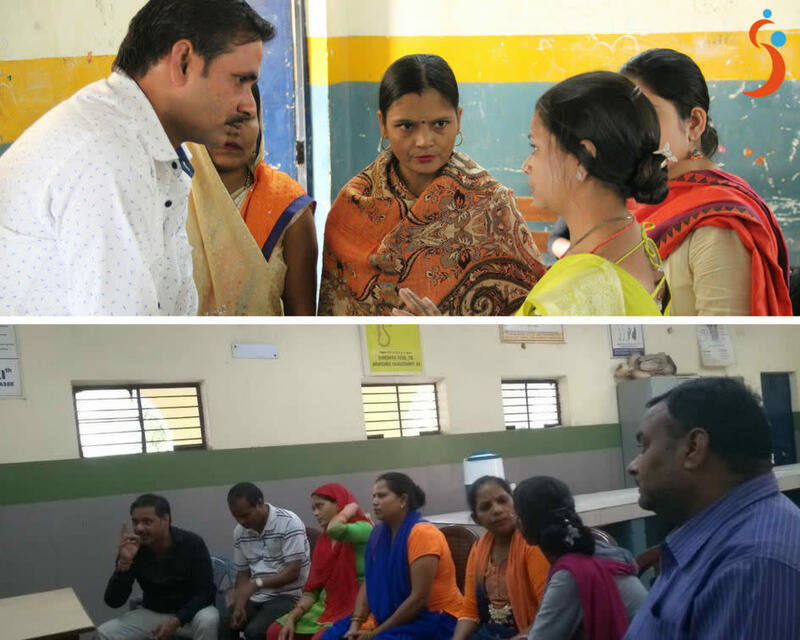 The pictures below are from problem-solving sessions conducted with different SMCs, the one person that is common is Nanhe Ram Ji. 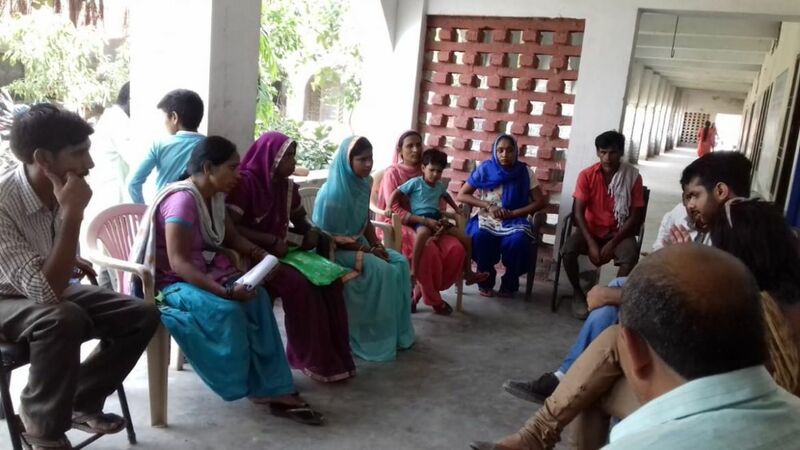 Local people having and sharing their agency to solve local problems is what is at the heart of Samarthya's mission. Enabling potential Joe's such as Nanhe Ram Ji is what Samarthya is in the pursuit of. You can know more about our work by watching the video below. Efficient Mid Day Meal Delivery, Improving Teacher Regularity, and Punctuality in the school and classroom are some examples of issues parents have taken up and resolved on their own. It has taken us 2 years to get here, but what we are witnessing now is that parents are able to resolve half the issues they raise all on their own. This is unprecedented in the communities we work with. In a complex world, with rapidly changing contexts, co-designing interventions and leveraging local knowledge is the way to go forward. Children feel confident when they witness SMC members regularly visiting the school. They know their concerns will be taken seriously and acted upon. Such articulation, such courage gives us hope. 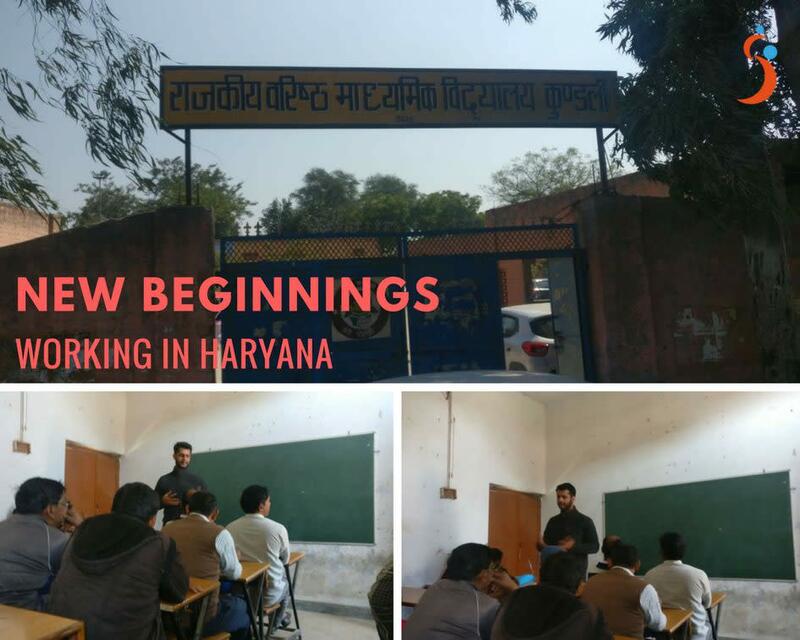 Our journey in Haryana has been one of the impossible probabilities and improbable possibilities. We have many firsts in Sonipat with SMCs. SMC meetings happening for the first time, parents and principal inspecting the school together for the first time, our sessions happening for the first time. It takes time for people to reimagine the role and potential of parents as changemakers. We have taken long strides in Sonipat to enhance this sense of possibility with all stakeholders involved. Exaudio, Comperio, Conloquor. That's a Latin phrase which roughly translates into; To Listen, To Learn, To Speak. We have made an attempt to inculcate this phrase ourselves and in the communities, we work with. We believe democratic governance demands that people listen to and speak to each other while being open to learning. Finding such people and enabling them to shine is what Samarthya is in the pursuit of. We are not aiming for the stars, we are aiming just an inch higher. Please do reach out to us for any queries. For regular updates, you can visit our facebook page. Thank you so much for your donation. Your hard earned money has gone into enabling parents in Delhi NCR region. Your support has meant a lot to us. We are proud to have you as our partner. With every passing day, I am more and more hopeful that quality education for all is going to be a reality very soon. We are delighted to inform you that Samarthya has secured its first official partnership with any government. Samarthya will 15 SMCs in partnership with the Government of Haryana. 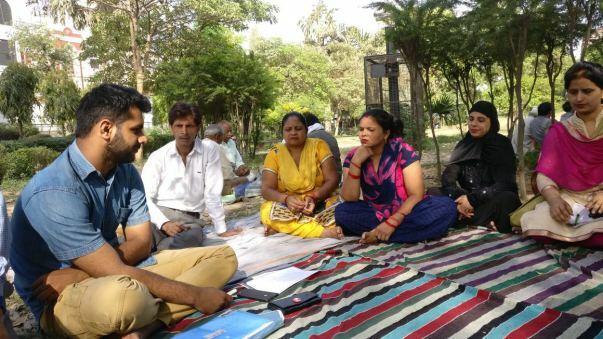 In Delhi, new SMCs were constituted in January 2018. We conducted 10 training sessions and 6 support sessions in the last 3 months. 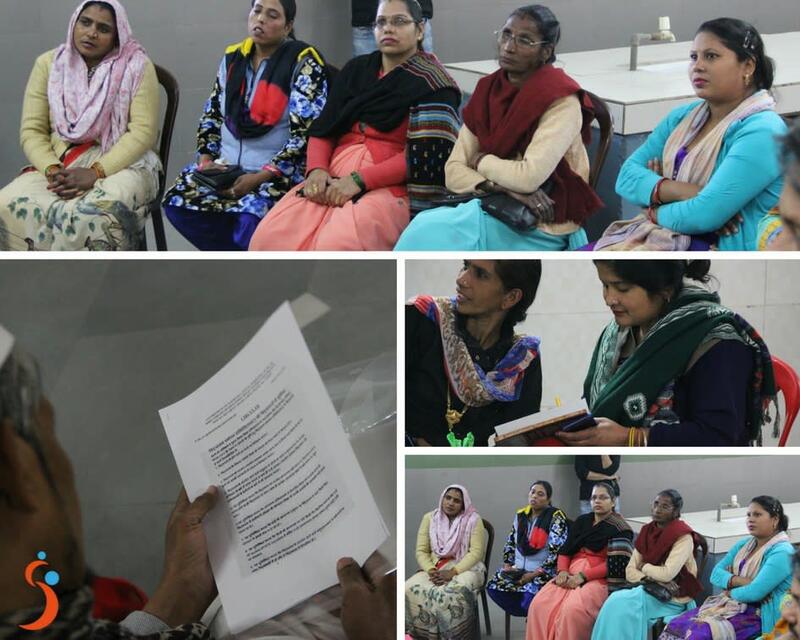 Parents were given circulars about duties and responsibilities of the SMCs. In the support, we facilitated a discussion among parents to prioritize the problems they want to solve in schools. structure to create meaningful impact in their respective schools. 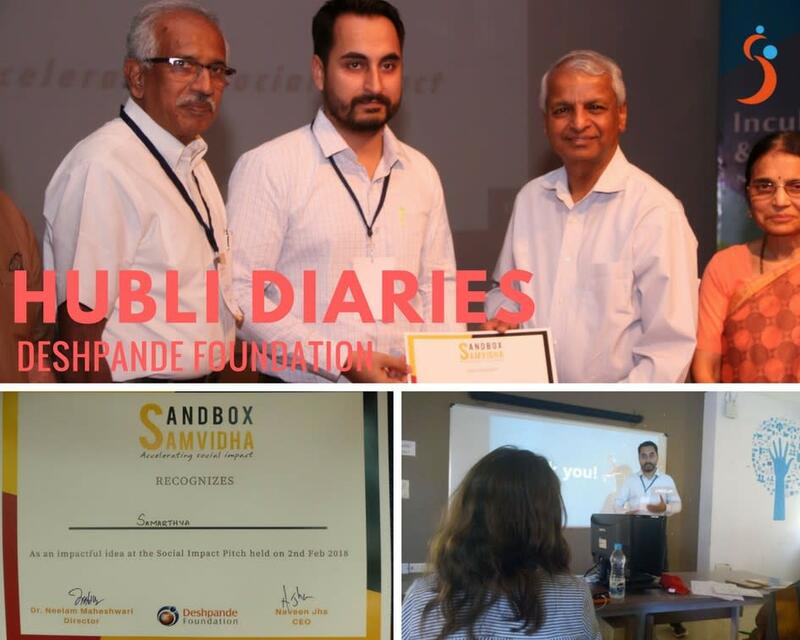 We got a chance to present our work in the grand finale of Sandbox Samvidha. Samarthya was one of the 6-8 organizations which was invited to run a 3-month pilot in Hubli, Karnataka. Samarthya was incorporated on 15th February 2017. 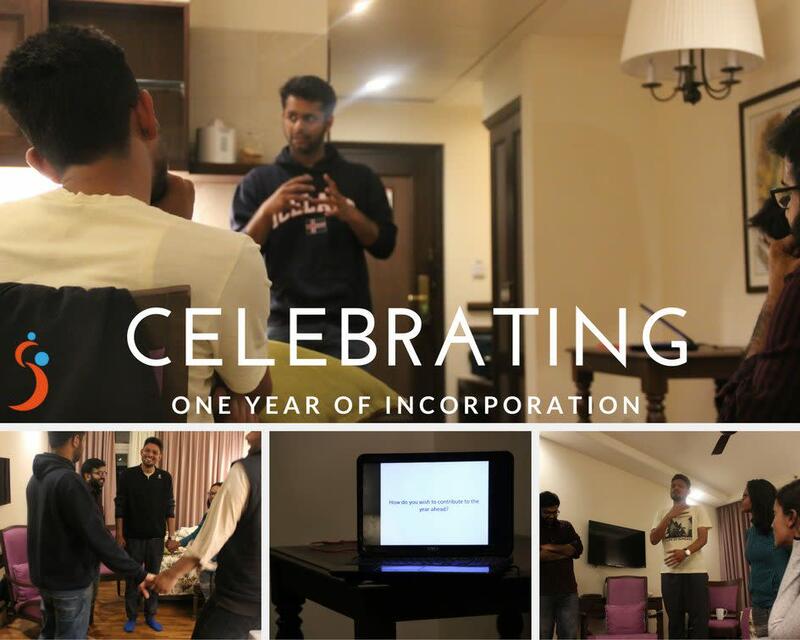 We celebrated our 1 year of incorporation at the retreat. The team got a chance to reflect, rejuvenate and reconnect in the hills of Naldhera. If fidelity to freedom of democracy is the code of our civic religion then surely the code of our humanity is faithful service to that unwritten law that says we shall give our children better than we ourselves received. The parents we work with epitomize this. They exemplify how a dearth of time or resources is too small a barrier compared to the enormity of their will to give their children a life better than they themselves lead. Finding these parents and enabling them to shine is what Samarthya is in the pursuit of. I am attaching our impact report for the last year for your reference.